Electron dot structures, also called Lewis structures, are a graphical representation of the way electrons are distributed throughout a compound. Each element's chemical symbol is surrounded by lines, representing bonds, and dots, representing non-bonded electrons. When drawing an electron structure, your goal is to make each element's valence, or outer electron shell, as full as possible, without going over the maximum number of electrons for that shell. Determine each element in the structure by looking at its chemical formula. For example, carbon dioxide's formula is CO2. Therefore it has one carbon atom and two oxygen atoms. Look up each element on the Periodic Table. Note each group, or column number. This reflects how many valence electrons the element has. For instance, carbon is in group 4A and oxygen is in group 6A; therefore carbon has four valence electrons and oxygen has six. Add the valence electrons of all the elements. This is the total number of electrons available for the dot structure. Since 4 + 6 + 6 = 16, there will be 16 electrons in carbon dioxide's Lewis structure. Determine which element is the least electronegative, or has the weakest pull on the electrons, by looking on an electronegativity chart or by examining the element's position relative to the other elements on the Periodic Table. Elements generally increase in electronegativity from left to right and from bottom to top. Carbon is the least electronegative element in the compound, with a value of 2.5. Place the least electronegative element in the center of the structure, then surround it with the other atoms. Hydrogen tends to be an exception to this rule and is seldom a central atom. Carbon dioxide's structure would begin like this: O C O. Draw a straight line between each outlying atom and the central atom to represent a single bond. For example, O – C – O.
Subtract the total number of bonding electrons from the number of available electrons. Remember that each single bond involves two electrons. Since there are two bonds containing two electrons each, there are 12 more electrons available for the carbon dioxide structure. Place dots to represent the remaining electrons around each outlying atom until its valence shell is full. Hydrogen requires two electrons and non-metals usually require eight. Add any remaining electrons to the central atom. 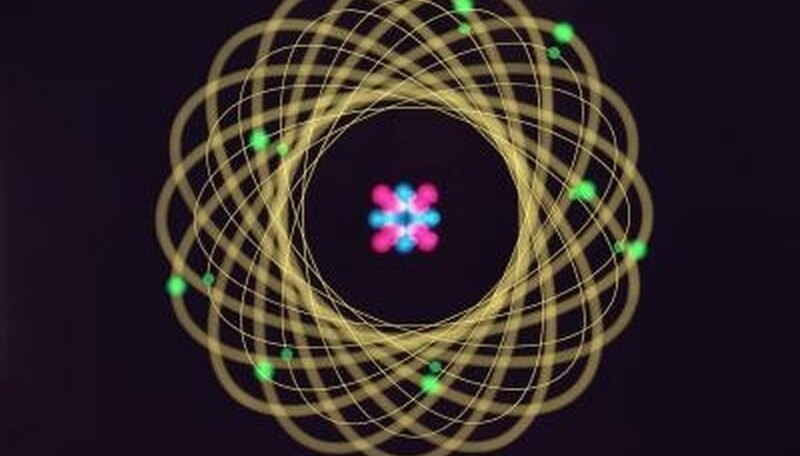 If there are no electrons remaining, yet the central atom has fewer electrons than it started with, this indicates that the structure is not yet finished. For example, carbon only contributed one electron to each bonded pair. There are two bonded pairs, so that accounts for two electrons. Yet carbon has four valence electrons. The diagram needs additional work. Create double or triple bonds between the central and outlying atoms if the central atom's valence shell is not full and pairs of non-bonded electrons are nearby. If the electron is an ion, add or subtract the number of electrons indicated by the charge from a non-bonded pair. Write a charge equal to the number of electrons you added or subtracted next to each affected element. Always add non-bonded electrons in pairs. Arnold, Kylene. "How to Determine the Electron Dot Structure." 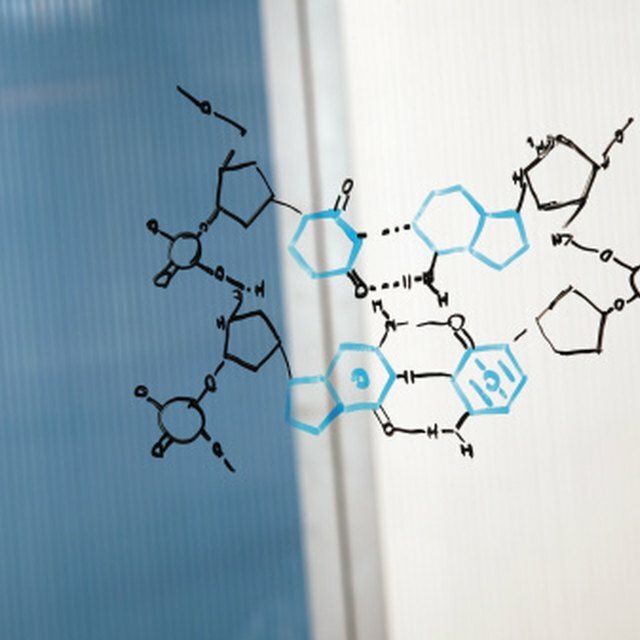 Sciencing, https://sciencing.com/determine-electron-dot-structure-8654732.html. 24 April 2017.